Encountering a random selection of high-end publications online, you might not think they had much in common. For example, The Ringer is a sports-centric website started by Bill Simmons that banks on podcast production; Vox is Ezra Klein’s politics-explainer behemoth; and Funny or Die is a decidedly non-journalistic viral-comedy-video producer co-founded by Will Ferrell. And yet, although they don’t appear particularly alike in their visual or editorial outlook, they all run on the same publishing technology, a content-management system called Chorus, developed and licensed by Vox’s parent company, Vox Media. Behind the scenes, each publication’s contributors type into the same boxes, use the same search-engine optimization tactics, and might have their work festooned with banner advertisements sold through Vox Media’s integrated ad service, Concert. The publications are interconnected, in short, like a forest sharing the same root system. CMSs are like digital printing presses: They determine how journalism gets published online. But unlike the printing press, CMSs also increasingly influence not just how stories look but how they are produced, discovered, read, and monetized. To attempt another comparison: If an article is like a bag of chips for the consumer, then a CMS is like the vending machine. CMSs shape every media company from top to bottom, publisher to reader. They use adaptive algorithms to recommend certain stories to certain audiences, put up paywalls at particular points in articles, help control the flow of traffic, measure reader engagement through specific metrics, and regulate which ad networks the publications profit from most. When a title outsources its publishing technology to another media company, it gives up some control over how its stories are distributed—for better or worse. With Google, Facebook, and other social-media platforms having taken over so much of digital publishing and reader consumption, the independent CMS is a matter of survival. Media companies and journalists alike are reclaiming the means of distribution and monetization from the few tech companies that dominated the space over the past decade. Thus, as readers, we also need to evaluate a publication’s CMS just as we judge the stories themselves. Way back in the beginning, or at least the early 1990s, the Internet was made up of a bunch of websites constructed from hand-coded strands of HTML. Each website was more or less unique, like so many log cabins hand-built by pioneers. When GeoCities launched in 1995, there were only a few million people on the Internet. The service provided an interface for users to more easily build and publish their sites, and it hosted domains and thematic directories—it was, in essence, one of the first freely and widely available content-management systems. Other CMS services followed, like Blogger, which was founded in 1999 by Ev Williams, who later went on to help create Twitter. An “automated web-log publishing tool,” Blogger made it easier to organize articles and present a chronological feed of one’s content, but its design options were limited. Blogger’s orange-and-blue default design and “blogspot” subdomain were so ubiquitous that the combination might induce Proustian shudders for those who were online in the early 2000s. CMS businesses aimed at providing free services for a wide, public user base; fee-based versions for power users and corporate clients followed. Drupal was released in 2000 and still serves as the backbone for more than a million websites. Three years later, the open-source project WordPress launched. It’s currently the most popular CMS on the Internet, powering almost 60 percent of websites—including The Nation’s—whose CMSs are publicly identifiable. (The most recent iteration is nicknamed Gutenberg, reinforcing the printing-press parallels.) WordPress is functional but not luxurious: Working in it feels kind of like filling in a coloring book. As digital-media companies evolved in the mid-2000s, they needed new tools to analyze traffic, serve their own ads, recommend content to readers, publish videos, and build complex longform-article layouts. Having a bespoke CMS also became central to the identities of many new Web-only publications. Gawker, founded in 2002, defined its purview through its ill-fated Kinja platform, which prioritized comment sections and writer-reader conversation: The more reaction, the better. Overemphasis on Kinja contributed to the death of the company at the hands of Peter Thiel. Vox Media, which started as SBNation in 2005, touted its custom CMS as part of its disruptive tech-start-up mentality, not to mention its valuation. BuzzFeed, established in 2006, built a CMS that put articles’ traffic front and center. Each unique software product influenced the way the publication’s content was both written and presented, like an unseen collaborator. “CMS is destiny” became the conventional wisdom. Beyond their functionality, the new wave of custom CMSs also served as competitive hedges. The software could be marketed and monetized as well as the content, allowing publications to get an edge on the tech giants and social-media platforms that have eaten the majority of the media’s advertising revenue. It’s another turn in what the New York–based journalist John Herrman, in a column in The Awl, dubbed the “content wars”: the fight to control how content is distributed and how audiences are sold online, as well as who gets the money. With their ability to serve up ads to any specific slice of humanity, sorted by age, gender, or favorite TV show, Google and Facebook together control 58 percent of digital advertising, putting them in direct competition with editorial outfits, though the Silicon Valley giants are loath to call themselves “media”—perhaps because it comes with a veneer of social responsibility. If traditional media companies can build their own distribution and monetization methods via the new CMSs, then they can counter the tech duopoly’s advance on their terrain and wrest back some control. The gamble has begun to pay off. A few years ago, it looked as if Google and Facebook were unstoppable. Publications fought for preferential treatment and pivoted to whatever the companies were prioritizing, investing time, energy, and money to build audiences contained within the platforms. “The publishers of tomorrow will become like the wire services of today, pushing their content across a large number of platforms they don’t control and didn’t design,” Herrman predicted, later describing the phenomenon as “platform creep.” The concept was that media companies could eventually monetize their platform-adapted content through programs like Facebook’s Instant Articles, Snapchat’s Discover channels, or Google’s Accelerated Mobile Pages. None of these turned out very well for publishers, who have made a habit of abruptly dissolving their platform-specific teams. For these newly ascendant companies, it makes sense to invest in bespoke CMSs that support subscriptions sales, add a scalable revenue stream, and lessen their reliance on the tech giants. And as the market grows for digital-subscription technology and upscale advertising infrastructure, more media companies will need new CMSs. The Washington Post hopes its Arc software will become a $100 million business on its own. If the largest digital-media companies can become software providers, then they’ll be well-positioned to ride out the death of print, the bursting of the new-media bubble that claimed companies like Mic, and the inevitable plateauing of social networks as user growth stagnates, and survive into a viable digital-only future. There has been some discussion—from BuzzFeed founder Jonah Peretti in The New York Times as well as a former Vice executive at NiemanLab—about a kind of digital consolidation in which titles would share the same publishing infrastructure. Yet the negative effects of such a consolidation are already becoming clear. The basic format of an article for most upscale publishers today is plain black type on a white background. Whether you’re reading The New York Times, The Washington Post, New York magazine, or Vox on your smartphone, scroll down a ways and a discrete column of text is all you’ll see, save maybe for a small logo banner at the top, plus whatever ads, videos, or recommended links pop up. It’s easy to forget whose article you’re reading, and the fact that most of these general-interest publications tread similar editorial ground makes it even easier. The homogenization of digital content is happening, in part, because of the rise of mobile browsing: Everything has to look good on a phone screen, so the layout becomes as simple as possible, and no one CMS produces that much better of a visual result than the rest. Any amateur can design a suitably minimalist, mobile-ready site—perhaps using the point-and-click Web-design-and-hosting service Squarespace, a kind of 21st-century GeoCities—and become a publisher, on a small scale. It used to be that branding, graphic design, and high-resolution imagery signaled editorial quality, whether in print or online. Now, the markers of quality are more important but perhaps less superficially apparent: good copy editing, coherent headline writing, and diverse bylines. On the positive side, it’s easier than ever for strong writing to get exposure. But homogenization can also exacerbate the problem of fake news: Any news site can look like the others, regardless of the quality of its journalism. There’s also the danger that a few big companies with the capital to develop high-end CMSs geared toward licensing will control a large share of the means of distribution—becoming the new equivalent of Facebook, in other words. Another positive sign: Community- or journalist-driven alternative CMSs are emerging that enable niche publications to build their businesses without paying huge licensing fees to the likes of The Washington Post or Vox Media. 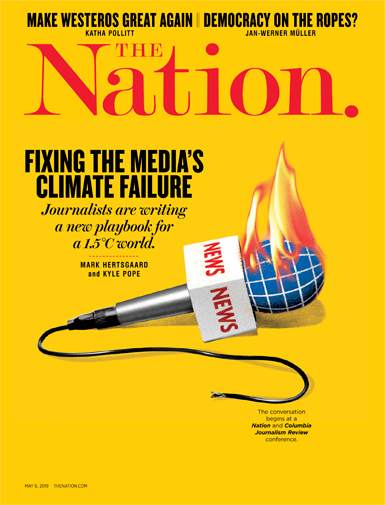 These CMSs allow a tighter connection between a publication’s editors and writers and its readers, oftentimes cutting out advertisers entirely in favor of subscription fees. But there are only a few such CMSs at the moment, and most are still backed by Silicon Valley venture capital. Perhaps the largest and most platform-like of this latter group is Medium, launched in 2012, again by Ev Williams. The company’s core product is a hyper-minimal CMS with elegant typography that anyone can use to publish articles. Medium has gone through more pivots than a roller coaster, but its current model allows any writer to paywall their work under its $5-per-month subscription scheme and receive a traffic-based fee. Unlike Twitter or Facebook, however, Medium also commissions original articles, building its own specific editorial identity. The aim is to make user-generated content indistinguishable from commissioned stories, using the latter to give the former a high-end gloss and leveraging both to drive new subscriptions. The fractured publishing marketplace presents opportunities for new ventures as well. The Correspondent is an English-language version of a digital-only, subscription-based Dutch publication that developed its own CMS to interact with readers. With a pledge to “unbreak news” and a bevy of big-name supporters, it has accrued over $2 million in subscriber pledges before its launch. Journalists were also quick to praise Popula, a new blog in the lineage of The Awl helmed by former Awl contributor Maria Bustillos. The site’s funding and CMS come from Civil, a publishing system that is trying to use blockchain technology (in this case, Ethereum, not Bitcoin) to build self-governing, subscription-based newsrooms where readers theoretically spend Civil’s cryptocurrency to vote on disputes over factual accuracy, among other editorial issues. Yet in October 2018, the initial sale of Civil’s cryptocurrency failed to meet its $8 million tipping point, and the technology has yet to make a widespread appearance on Civil’s network of sites, including regional news publications like The Colorado Sun and Block Club Chicago. Contributors and staff at Civil-related sites now complain about not receiving the cryptocurrency payments they’re owed. (To be fair, they can’t possibly be paid because the currency doesn’t officially exist yet.) Popula could still survive any fallout, given that it is staff-owned and financially separate from Civil, but it’s heavily implicated in Civil’s model nonetheless. CMSs are businesses in their own right: They have to grow, constantly converting new clients to turn a profit. But there’s also the problem of managing what happens across the platform. Patreon has had to ban hate groups and has endured the launch of the now-defunct Hatreon, which welcomed users like The Daily Stormer. As with Civil, journalists are also at the mercy of business decisions: The financial terms can change, and the companies could be folded or sold at any moment. The clean, glossy surface of content against the vacuum of white digital space encourages you, the reader, to forget about the CMS, rendering it invisible. But the machine is still there, humming in the background—serving up stories and ads, maybe charging you once a month, and feeding your consumption habits back to publications or brands. The most disruptive thing we can do is to be aware of the technology and understand how it shapes the business of media. Likewise, allowing one CMS to dominate would dampen, at the very least, the diversity of the industry. Publications are already worrying about Arc taking control and then jacking up prices, much as Bezos’s Amazon did with e-commerce. It might be easier to publish online than ever before, but it’s still just as hard to make strong journalism economically feasible. There’s no silver bullet. For journalists, a free, convenient paywall CMS could make new kinds of coverage possible on a small scale. In the meantime, readers will have to decide which corporate CMSs are most acceptable. The CMS that a publication relies on could influence the kind of content it decides to publish: An Arc client, for example, might feel pressured not to run a scoop on Amazon because of its Bezos connection. The worst thing that a reader can do, we now know, is to consume whatever pops up at the top of a Facebook feed or Google search—the pond scum floating on the surface of the Internet. What we need is a digital-media version of organic food or a local farmers’ market: ethically sourced, sustainably funded, and integrity-certified, all the way from CMS up. Although this potential new model is less scalable and profitable than media companies dressing up as Silicon Valley start-ups in order to absorb venture capital, it might last longer.